Help us celebrate OpenNews and the community who makes it possible! At OpenNews, we believe a diverse community of peers working, learning, and solving problems together can create the stronger, more representative ecosystem that journalism needs to thrive. Through events for newsroom coders and journalists and a wide range of community supports, we enable collaboration across organizations. If you have any questions about donating to OpenNews, we also put together this FAQ with a bunch of details. By placing 33 creative technologists in newsrooms through our Knight-Mozilla Fellowship, where fellows did open-source development, contributed to reporting projects, and focused their time on the training and networking that helped many new folks find this network. Through our publication Source, where hundreds of community members have documented projects, process, open-source tools, and more. Source contributors receive editorial support in documenting their work, visibility for projects, and connect with colleagues working on similar challenges. With our annual conference SRCCON, which brings together 300 participants for two days centered around collaboration and relationship-building. 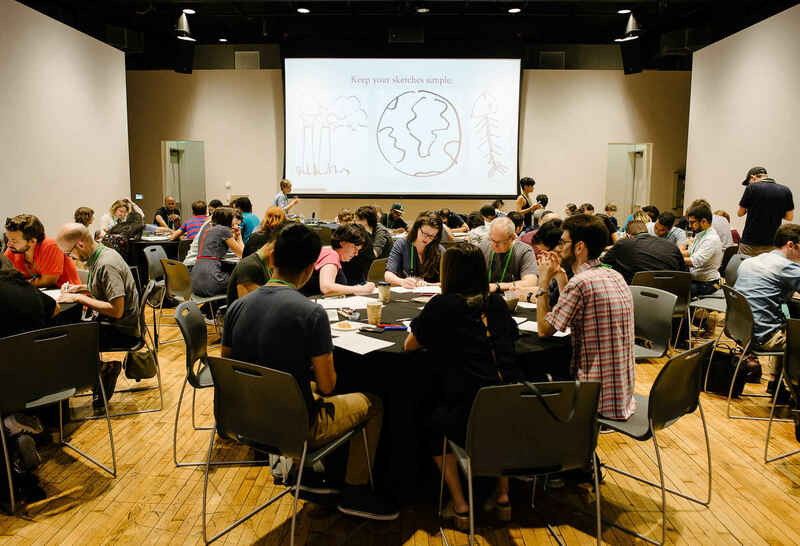 We build SRCCON by centering accessibility and inclusion, and attendees have told us how important this intentional program design is for them being able to make the most of the time together. By creating the necessary space and support for dozens of journalist-coders to work on projects and release more than 30 open-source software projects. Tools like Pym.js, Lunchbox, Klaxon—even the California Civic Data Coalition—and projects like our field guides on open source and security training in the newsroom have taken advantage of these small, focused convenings to open up tools and resources for the whole community to use. By helping hundreds of community members get to events through our Ticket+Travel Scholarship program. We know how important networking is in this industry, and these scholarships help remove barriers to access to SRCCON, ONA, NICAR, NABJ, NAHJ, AAJA, and many other community events. With research and data about the field. Our annual News Nerd Survey has helped us better understand who is in this community and what they need, while also providing community members with data about salary and inclusive policies to help in persuasion within their own organizations. SRCCON Power was transformative for me. Thank you for all that you do. Thanks, OpenNews, for driving conversations that advance great journalism & connect diverse developers, designers and journalists in a very human way. Other folk have covered the OpenNews team's importance to the industry, but they're also just such kind people. It was a privilege to work with them. This is a no-brainer. The kind of work that OpenNews has been doing has been crucial to newsrooms and our community is all the better for it. SRCCON is an indispensable haven for our community. Thank you for helping support, improve, and inspire each other! It's almost impossible to state how important OpenNews has been for me, and for countless others in this field. OpenNews is one of the most important and under-appreciated forces for the change we need to see in journalism.